Wendy Tyson joins us today to answer all of our questions about her new book, Dying Brand. The inspiration for DYING BRAND was an image I had for an opening scene: Allison getting a chilling phone call from a distraught woman from her past. I used that image to ask a series of questions: Who was the woman? What did she want? What is the conflict? What does Allison stand to lose? The storyline grew from there. I knew this was the book I wanted to write because the plot offered so many opportunities for character development. One of the challenges of writing a series is that in each book, characters must grow and develop in a way that makes sense for that particular plot line. But there also needs to be an overarching developmental arc for each main character, one that spans the entire series. I knew book three needed to be pivotal, not just for Allison, but for Vaughn, Mia, Jason and Jamie, too. 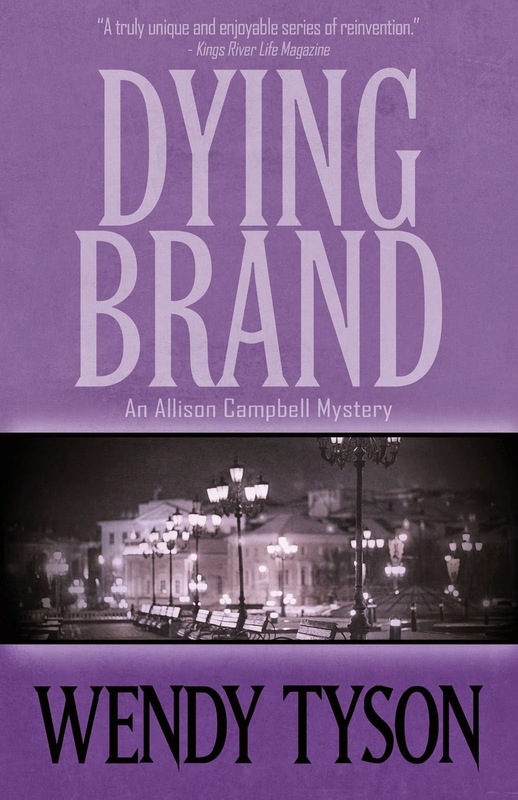 Specific to Allison, DYING BRAND presents a turning point. In KILLER IMAGE, Allison is tightly controlled, almost rigid—she’s created a safe, tidy life for herself and she’s determined to keep it that way. By the end of KILLER IMAGE, and certainly in DEADLY ASSETS, we see Allison taking emotional risks. In DYING BRAND, things fall apart. Everything Allison has known to be true is challenged; nothing is as it seems. But Allison is able to draw on the experiences of her recent past, and the love and friendship of those closest to her, to become a stronger, more self-aware person. She will need these traits as the series continues. 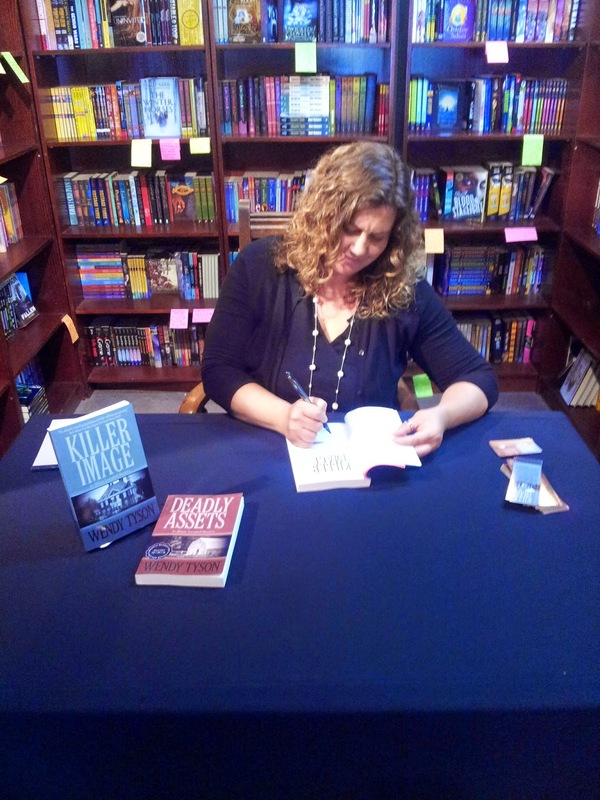 I’d have to say inclusion in the mystery and thriller writing community has been the best thing to happen to me. Before Henery Press purchased KILLER IMAGE, my writing journey had largely been a solitary affair. I worked full-time and have a husband and three wonderful sons, so my full schedule didn’t leave me much time for anything beyond the one to two hours a day I spent writing—or so I thought. It was only after I signed with Henery Press that I started to network, meeting fans and other authors online, at conferences, through my publisher and agent, and as part of industry trade organizations. I know now that I should have been developing my network all along. I still work full-time in addition to writing, but I make fostering these connections a priority. I feel quite blessed to be part of this welcoming, supportive community. It took me about eight months to write the first draft of DYING BRAND. My initial novels took years to write, but the more you write, the more efficient you become—and when you’re under deadline, that’s a good thing. I always do a rough outline of my book after a first draft is completed in order to identify any plot holes, extraneous scenes, missing clues, etc. After that, the book goes to a few trusted beta readers and then on to my wonderful editors at Henery Press. By the time my editors receive the book, it’s on draft three or four. They’ll comment and make suggested edits, and I will do at least one more round of substantive revisions after that. The entire process, start to finish, takes about a year. There were a number of topics I needed to research while writing DYING BRAND, from clothing designers to Buddhist spiritual centers/customs to corporate spin-offs. I do a lot of my research online (I’m sure I’m on some kind of government watch list), but sometimes I need to talk to experts or experience things for myself. 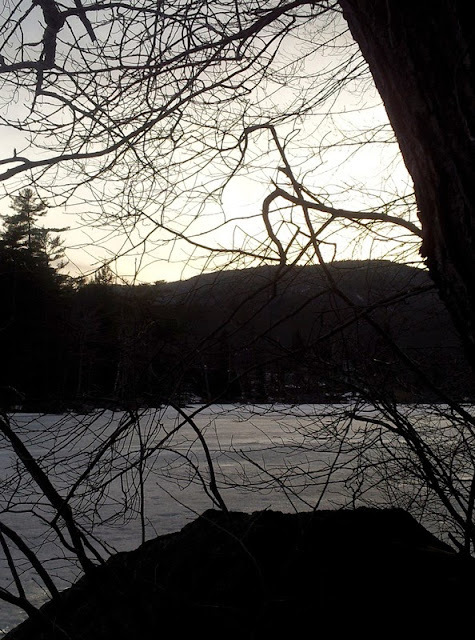 For example, a number of scenes in DYING BRAND take place in the woods of eastern Maine. Although I’d been there before, in order to make sure I had the setting right, I visited Maine on several occasions, taking photographs of anything noteworthy so that I could better recall the details later. Thank you for hosting me on your site, Deborah! It was a pleasure to be part of your blog for the day. Such a great interview! Thanks for asking questions that really get the heart of the writer and the writing.